Young people from youth group Splat Cymru have been crowned the winners of nationwide competition, The Generation Code Challenge. 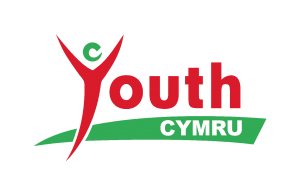 The competition, run in partnership with UK Youth, Youth Cymru and Microsoft, asked young people to work together to design a new app idea that will tackle a social issue in their community. The young people from Splat Cymru had previously taken part in UK Youth’s programme Generation Code, which provides coding training and resources to youth workers and young people across the country. The programme, which is delivered in Wales through Youth Cymru, inspires future career and education choices by showcasing the increasing opportunities available in a digital world. After being inspired by their Generation Code training, young people across the country put their new skills into practice and entered The Generation Code Challenge. Splat Cymru’s winning app idea ‘Gudeed’ encourages young people to do good deeds. ‘Gudeed’ would feature a virtual town, which originally includes just one house. As the young person completes a piece of social action or ‘gudeed’ in their local community, they can upload their activity, get achievements, unlock new levels and receive virtual money to spend developing their virtual town. As winners, the young people have been awarded £600 and two tablets for their youth club to use and help them continue on their coding journey. Splat Cymru are so excited to be the UK National winners of the Generation Code challenge. 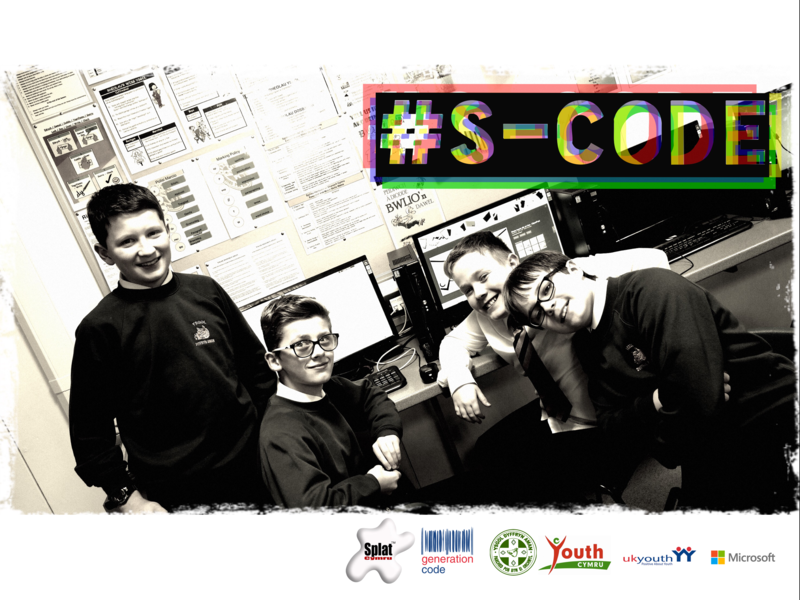 #S-code was an amazing opportunity for all to get to grips with new technology and discover new skills. The Generation code Challenge gave an opportunity to apply knowledge and understanding that they had gained within #S-code. A group of four boys entered the Challenge wanting to improve peoples wellbeing by creating an app that could record a good deed “GuDeed” that a person would do for someone else, the app allows players to collect points through doing a chores “GuDeed” players can then use their points to build virtual cities and villages. James Barker founder of Splat Cymru and developer of the #S-CODE program was overwhelmed by the pupils success in the competition “I was invited to attend a training program at Youth Cymru which looked at delivering a coding scheme to children from the ages of 11-14, the training was outstanding and an inspiration. This allowed to contact my local school and offer this as an after school program #S-CODE”.